Offering you a complete choice of products which include spindle drives and cnc turning center spindles. 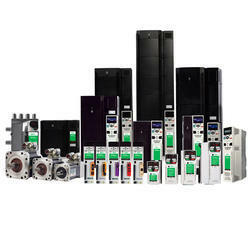 We are engaged in offering a wide range of Spindle Drives. These spindles are driven by a tangential belt system and used widely in milling applications. They are available in various sizes with a wide variety of speed and power range. The belt-driven milling spindles with their design flexibility, diversity, and performance are suitable for a wide range of milling applications. Its main purpose is to make the machined surface flat, angular or curved or can be milled to any combination of shapes. The milling spindle helps in rotating the cutter, and feeding it. Milling spindles are available with or without power draw-bar for machine tools. CAPITAL ENGG offers high quality CNC Lathe Spindles to meet all your CNC Lathe Spindle requirements. 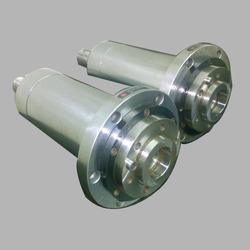 These spindles are meant for high radial and axial rigidity. Labyrinth seals are inserted into the spindle to avoid insertion of water contents into the spindle, which increases the bearing’s life. Standard Turning Center Spindles come in A2 nose series. Choice can be made as per the machine and job specifications. Automotive, motorcycle and bicycle parts. Looking for CNC Turning Center Spindles ?